Commitment, purpose and dedication. That’s what you expect from a successful public speaker. And it’s also what you expect from a star player in the National Hockey League (NHL). Combine the two and you get Alex Ovechkin, Winger and Captain of the Washington Capitals, who received the NHL’s top player award for the season yesterday. It’s an award that is voted for by all the players in the League. So it’s a rigorous selection, indeed. And rigorous is also how you can describe the Alex Ovechkin acceptance speech. 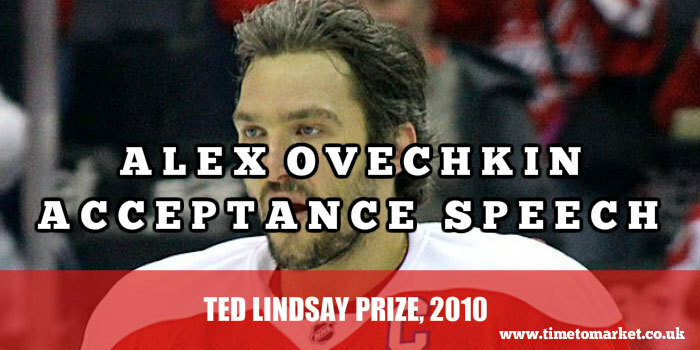 Ovechkin’s commitment and sense of purpose were evident in his acceptance speech for the Ted Lindsay award. A quick vote of thanks for his fellow nominees, some mumbled references to his friends and family and then a note of remembrance for his deceased brother. At that point, a minute into his acceptance speech applause rang around the Las Vegas venue and the organisers cut Ovechkin’s microphone. Very much like the Oscars 45 second speech rule as there’s clearly a time limit for even an Ovechkin acceptance speech. The comic turn, in the form of Reese Waters, took to the centre stage and the presenters started leaving the awards stage. But not Alex. Oh, no. Alex wasn’t done…he kept going…without amplification. This Alex Ovechkin acceptance speech was not going to stop just like that. In fact he kept going until the microphone was re-connected at which point he did eventually stop his speech at the two minute mark. Noticeably no-one tried to stop him from speaking. Would you? On the ice or off the ice, playing hockey or speaking about hockey, might is right. And who’s going to argue? 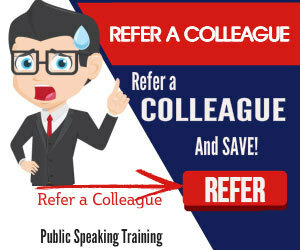 You can read plenty of public speaking tips to prepare you for your next acceptance speech or, perhaps a job interview presentation. 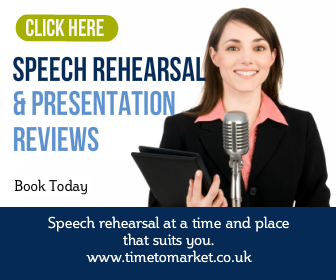 and, when you want to push your skills that little bit further we are here to help with a rage of public speaking courses and public speaking coaching. Please don’t hesitate to get in touch when the time is right.